&apos;Then you should be glad. Please stop yelling.&apos; Placid replied as he went on the ambulance, holding Lucy&apos;s hand during the whole ride. &apos;Alright alright, I get your point. But he saved Lucy and that&apos;s all that matters to me.&apos; Placid replied and Potty shut up during the rest of the drive. They reached the hospital, but Lucy was pried from the Prof&apos;s hands. Potty was shouting at him in his head, but he replied calmly saying that she would die faster if she wasn&apos;t in the doctor&apos;s care. Potty couldn&apos;t disagree with that. 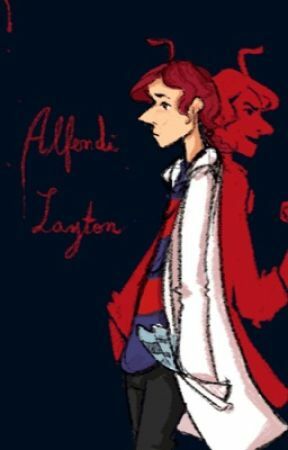 Alfendi crossed his arms in the waiting room, observing the people around him as Professor Layton just sat in a chair nearby, silently. It was surprising that  Potty had no remark about him and stayed silent. Luke came in several times to check on the Professor and Alfrendi, brought them coffee and different food items to fill their stomachs. Alfendi always eavesdropped on their conversations. Especially this one conversation, which got Potty angry. "How is he?" Luke asked, taking a seat besides the Professor. "Well, he refuses to speak to me and it makes sense why he would. I would speak to him but I know he needs time alone." Professor Layton replied, looking down. "But I do want to know more about that Lucy Baker. I only know snippets from what the Commissioner has told me... Luke my boy, do you think you can get some information on her? Alfendi hates many people, but this Lucy has hit his soft spot." He asked and Luke nodded. "I&apos;m sure the Commissioner has a full document on her." Luke said, getting up and leaving. That struck a cord in Potty. His hair colour changed into a dark crimson and he glared at Professor Layton. "Why must you go through her files, father?" He asked and Professor Layton looked back to him. "Oh, Alfendi. As you heard, yes, I asked for her files." Professor Layton replied, "Is there a problem with that?" "Yes, there bloody is! 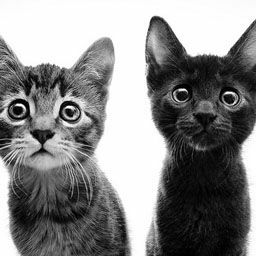 You know who she is, my assistant-"
"However you have no right to tell me that I can&apos;t look into her. Also, that&apos;s not gentlemanly to raise your voice Alfendi." Professor Layton chastised and Potty Prof was ready to claw at him for saying that and chastising him but a nurse emerged before he could tell him how he truely felt. "Alfendi or Hershel Layton?" She called and both Profs, creating a weird sounding voice asked, "Yes?" Not even caring anymore about his father or anything at the moment. Lucy was all that mattered. "She&apos;s stable now, you may see her if you&apos;d like." The nurse replied and both Potty and Placid Prof ran as fast as they could, running to Lucy. Hershel smiled softly at the nurse. "I&apos;ll join him in a little while, he needs time with her, he doesn&apos;t want his father there right now." He said, sipping on his tea and sighing.